To help CASP members connect and learn more about one another, we are starting member spotlights. 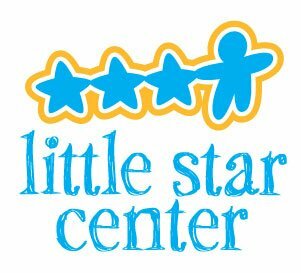 I loved reading the responses that Little Star’s ED, Mary Rosswurm, provided for our first member spotlight. I was blown away reading about their philanthropic efforts and I definitely plan to make a visit to BRU Burger and “The Courtney Room” the next time I find myself in Carmel! What’s something your agency has done or accomplished recently that you are proud of? We got approved to take Medicaid, which just began paying for ABA in 2016 and are in the process of opening two centers (next month) in heavy Medicaid areas. Services in those areas have been limited because many organizations are not taking Medicaid, due to the rates. So, we’re excited to get in there and serve this population that has been overlooked for so long! What’s an interesting fact about your organization that people may not know? We give out our treatment plan template as part of our advocacy work. In fact, we share a lot of info that other agencies would consider proprietary. We lead treatment planning and appeal workshops and give the attendees dozens of our documents so they can be more effective at getting their learners the therapy hours needed. No need for them to reinvent the wheel! Complete the following sentence. We joined CASP… because of the networking and learning opportunities from people who have been in the field running ethical, effective and successful organizations. Do you have any advice for new organizations or leaders? Don’t play in the grey – meaning if you think something is in a grey area or questionable, don’t do it. Always ask yourself, “If I had to stand up and defend what I did in front of the BACB, an insurance company or colleagues, could I do it and come away from it with them agreeing with my decision?” If you can’t, don’t do it. If we were visiting your organization, what would be the best place in town to eat? BRU Burger, because they know us and always put us in the private dining room, which they have “named” after our COO, Tim Courtney. It’s now called the Courtney Room, because we eat there so often. They know us by name and know what we like to drink and eat and just bring out our food. It’s like being treated like royalty! Is there anything else you would like to tell us about your organization? Last year we gave away over $450,000 in grants to families without insurance or means to pay for therapy! We are a not-for-profit and fundraise like a freak!